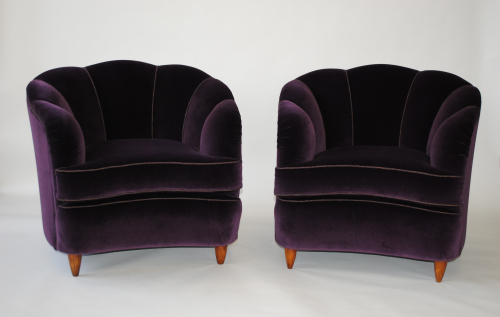 A fantastic and extremely comfortable pair of Italian chairs with stylish sculpted backs, reupholstered in velvet by Casamance and Le Lievre. Seat depth 57 cm. Width 50 cm. Seat height 45 cm from floor.